Dodgers 7, Marlins 0 (May 17): Before ending the season in the bullpen, Maeda had many wonderful starts, including this game in which he retired the final 17 batters he faced, but left after eight innings (two baserunners) and 96 pitches. Pirates 1, Dodgers 0 (August 23): The only losing effort on this list comes courtesy of the Dodgers’ inability to score on behalf of Hill’s nine no-hit innings before he allowed Josh Harrison’s homer in the 10th. Hill’s game score through the ninth was 97. Dodgers 1, Padres 0 (May 1): Kershaw not only struck out 14 with no walks in a three-hitter, he also hit the RBI single that drove in batterymate A.J. Ellis with the game’s only run. Dodgers 8, Giants 0 (September 29): With a chance for the Dodgers to clinch the National League West, Kershaw merely faced two batters over the minimum and struck out 13. Dodgers 8, Rockies 0 (June 18): In a no-hitter that was only a Hanley Ramirez error from being a perfect game, Kershaw struck out 15 Colorado Rockies and walked none. No Dodger has ever had a higher game score in a nine-inning contest. Dodgers 1, Rockies 0 (July 13): In one of my favorite Dodger pitching performances of all time, Greinke’s two-hit, one-walk shutout of the Rockies, neither Dodger centerfielder Andre Ethier nor rightfielder Skip Schumaker touched a ball in play. Dodgers 6, Padres 0 (April 6): Chad Billingsley was only 27 at the time of this game (8 1/3 innings, 11 strikeouts), but his Dodger career would unravel later in the year because of a torn elbow ligament. He threw 108 pitches in his first start of the year. Dodgers 4, Tigers 0 (June 20): En route to his first Cy Young Award, Kershaw struck out 11 and allowed three baserunners, striking out the side in the ninth. Dodgers 2, Rockies 0 (August 19): In his fourth start following a trade from the Cubs, Lilly lowered his ERA with his new team to 1.29 thanks to this two-hitter with 11 strikeouts. 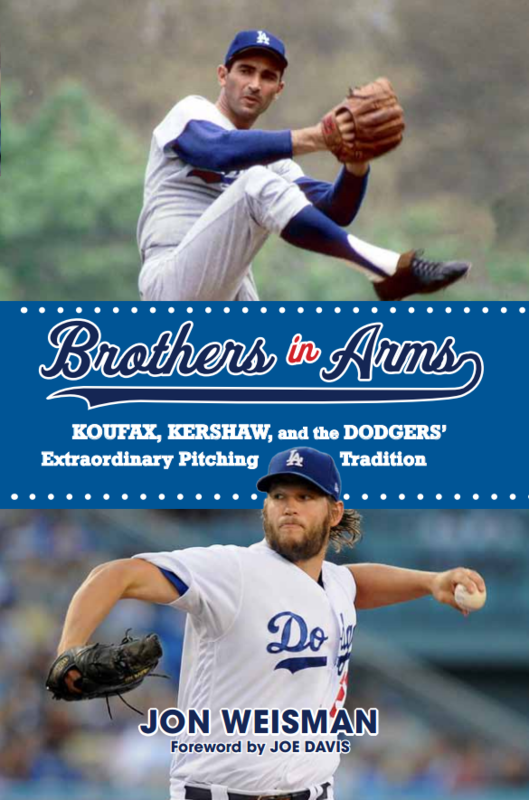 Dodgers 8, Giants 0 (May 9): For a brief moment in Kershaw’s breakout season, the spotlight shone on Stults, who threw 123 pitches while getting 17 outs in the air. Dodgers 3, Braves 0 (July 7): As a 33-year-old MLB rookie, Kuroda took a perfect game into the eighth inning before Mark Teixeira doubled. Kuroda retired the next six batters for a 91-pitch one-hitter. Dodgers 6, Marlins 1 (May 7): In the shortest and lowest-scoring outing on this list, Penny went seven shutout innings but struck out 14. 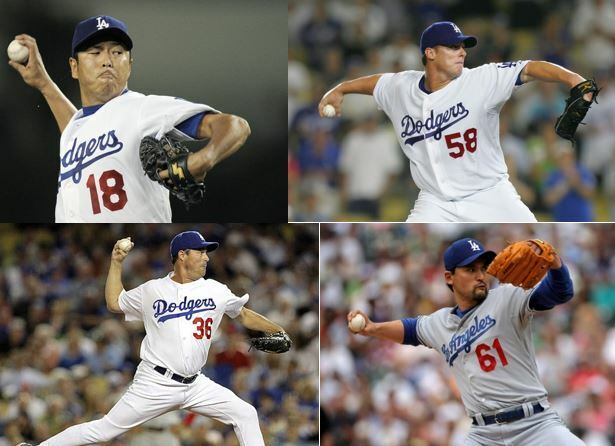 Kershaw and Hideo Nomo are the only other Dodgers with that many strikeouts in that short an appearance. Dodgers 1, Giants 0 (August 13): A spry 42, Maddux reaches this list with a 68-pitch effort, allowing two hits with no walks and four strikeouts in eight innings, before Russell Martin hit a walkoff homer in the 10th. No other pitcher in MLB history cracked an 80 game score with fewer than 70 pitches. Maddux faced 25 batters and was charged with 18 balls. Dodgers 7, Cubs 0 (August 31): Having thrown a no-hitter three years earlier with Boston, Lowe allowed a leadoff single to Jerry Hairston Jr., completed a double play with the next batter and (while walking two) went the distance without another Chicago hit. Dodgers 11, Diamondbacks 0 (July 7): Leading 6-0 after the first inning, the Dodgers cruised behind Ishii, who came within a fifth-inning Shea Hillenbrand single of a no-hitter. Dodgers 6, Brewers 0 (May 24): Nomo threw 120 pitches — the 23rd time of 24 in his MLB career that he tossed that many — in a two-hitter. Dodgers 10, Cubs 0 (April 26): In an absolute masterpiece pitched in 43-degree weather at a windy Wrigley Field, Perez faced the minimum 27 batters, retiring the first 18 before a Corey Patterson bad-hop infield single ruined his bid for a perfect game. Dodgers 5, Brewers 0 (July 18): Eight days after appearing in his only career All-Star Game (and giving up Cal Ripken Jr.’s homer), Park retired the final 17 batters he faced in the shutout. Dodgers 3, Padres 0 (September 29): Posting the highest game score by a non-Kershaw starter this century, Park struck out 13 in a two-hit shutout — and also homered in his final at-bat of the year. Aside from Kershaw, Park is the only Dodger repeat champion on the Game Score list this century.